Ringworm treatment for dogs requires anti-fugal medications to knock out this infection. This is because Canine Ringworm is a fungal infection and is NOT caused by worms of any kind. The first step towards getting Fido the right treatment is to get an accurate diagnosis from your vet. There are three common types of fungi that are responsible for the majority of ringworm infestations. Knowing which one your dog is suffering from makes treatment quicker and more effective. Because Ringworm symptoms can get worse quickly, and the condition is highly contagious, it's important to diagnose and treat even minor cases promptly. Depending on how early your dog is diagnosed and how severe the problem your veterinarian could recommend medicated shampoos, dips or topical treatments. These products might contain Miconazole, Chlorhexidine or Lime Sulfur. For most dogs, oral medications are needed in conjunction with whatever products are being applied externally. There are several options in terms of oral medications to treat dogs with Ringworm. With ALL medications it is very important to follow dosage instructions extremely carefully. Your vet will tell you what is appropriate for your dog given his/her age, weight, other health conditions etc. Human dosage and canine dosage is NOT the same. Serious health issues, even death, can happen if you give a dog too much medication, or one that is not safe for him/her. A medication called Griseofulvin has generally been the most commonly prescribed oral Ringworm treatment for dogs and it can be very effective. It's also often used to treat human fungal infections such as athlete's foot, jock itch, nail fungus and more. It works by preventing the fungus from growing and multiplying, so that your dog's immune system can overcome and eradicate the problem. BUT Griseofulvin can have some fairly serious side-effects so should only be used in severe cases and you'll need to keep an eye on your dog for any side effects which could spell trouble. Vomting and/or diarrhea should be taken seriously as they show the medication is causing digestive upset. If your dog suffers from either of these symptoms discuss it with your veterinarian as he/she may want to choose a different medication. 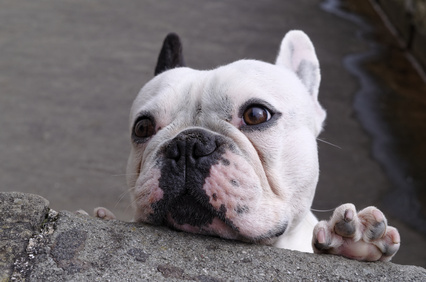 Loss of appetite can be an early sign of liver damage, so if your dog shows this it's important to let your vet know. 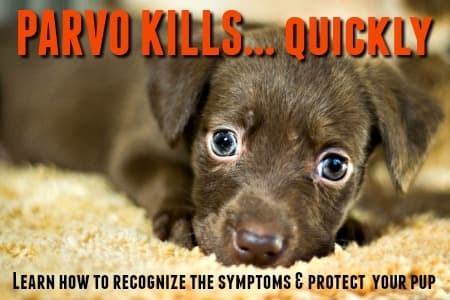 Griseofulvin is NOT safe for pregnant dogs, or dogs who are feeding puppies. Sometimes Griseofulven can cause liver damage which is potentially very serious. Yellowing of the gums, eyes or skin could mean that your dogs liver is being affected and warrants an immediate vet consult. Pale gums or tongue could indicate anemia, and also needs quick veterinary attention. If your dog is prescribed Griseofulvin make sure you follow your veterinarians' instructions about dosage etc. very carefully. Itraconozole is another antifungal drug which is becoming a more frequently prescribed alternative oral medication for Ringworm treatment in dogs. Itraconozole has less side-effects than Griseofulvin and so is considered to be safer. Although Itraconozole can cause liver damage, it is a rare side effect (less than 10%). Liver issues caused by this medication usually take 4 - 6 weeks to show up, but could happen sooner. This is obviously serious and as a loss of appetite could be an early sign that liver damage is being done it's always important to let your vet know of any side effects your dog experiences. Another anti-fungal oral Ringworm treatment for dogs is a drug called Lamisil (active ingredient is Terbinafine). It prevents the fungus from growing and spreading in the same way other antifungal medications do. Diflucan is an additional anti-fungal drug which veterinarians use as a Ringworm treatment for dogs. It can be found under the generic name Fluconazole and is often used to treat the more severe cases of fungal or yeast infections, including Valley Fever. This medication can cause liver damage so it's important to watch for signs of this in your dog. There are a number of different shampoos, dips and topical treatment options available to treat Ringworm in dogs. The most common active ingredients in these are Miconazole, Lime Sulfur or Chlorhexidine. All of which will kill the fungus on the skin. The creams/lotions or liquids that you apply to your dog will work much better if they can reach the skin easily, and stay on it. So, trim the hair closely around any ringworm lesions, and preferably an inch or so wider than the actual irritated/infectious skin. Trimming the hair and putting topical treatments onto an area of clear skin will help the medication be absorbed effectively and also help to reduce spreading of the fungus. For some products you'll need a prescription from your veterinarian, others are available over the counter. Some medicines that you see on your local pharmacy shelves can also be used to treat ringworm in dogs. 1% Clotrimazole cream (aka Lotrimin whose active ingredient is Clotrimazole) is a popular choice. Products containing Miconazole are also commonly used. These come in many different forms and under different names, just check for the active ingredient. Monistat can also be applied topically to Ringworm lesions in dogs. Look for anti-fungal shampoos which contain Ketoconazole, Miconazole or Chlorhexidine. Is My Dog's Ringworm Cured? In most cases the anti-fungal treatment for Ringworm in dogs begins to work within 7 to 14 days. You should start to see the patches begin diminish in size, the irritation start to fade and signs that the hair is growing back - albeit slowly. Ringworm treatment for dogs takes time, and most oral and topical medications need to be taken/used for several weeks. The symptoms usually become undetectable (ie it looks like your dog's ringworm is 'cured') before all the fungi have been eradicated. It's still important to continue with the prescribed treatment for at least another 10 - 14 days to make sure that all the fungus has been eradicated. If you stop the treatment too soon chances are very good that the fugus will start growing and multiplying again and you'll be right back where you started fairly quickly. Always finish all the medication or treatments that have been recommended/prescribed by your vet. If you don't see any improvement by the end of two weeks, take him back to your veterinarian for another evaluation. Sometimes the treatment needs to be 'tweaked' or changed. If you catch the outbreak of ringworm quickly, and your dog is in good overall health, you may be able to stop it in it's tracks with natural treatment options. One of the most popular, and effective, choices is Naturasil Ringworm Treatment. A homeopathic treatment made from 100% natural extracts. This Lime-Sulfur concentrate should be mixed with shampoo (full instructions included) and applied, allowed to soak into fur and skin, then rinsed thoroughly. This process needs to be repeated every 5 - 6 days for several weeks. A gentle treatment that is chemical free and has no side-effects. 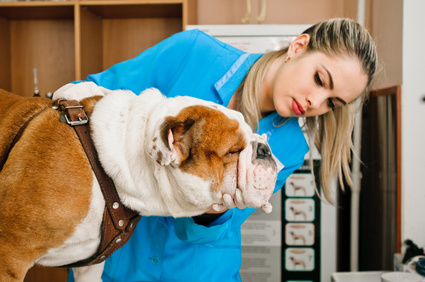 However if your pup/dog has a moderate to severe ringworm problem, or if after two weeks of using Naturasil you don't see any improvement, I'd recommend having your dog examined by your veterinarian again. 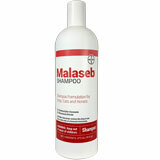 A gentle, natural, organic shampoo suitable for dogs, puppies, cats & kittens. Recommended for use with Naturasil Ringworm Concentrate (above). 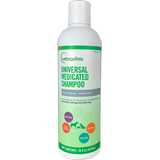 Gentle, natural antimicrobial shampoo recommended for use against Ringworm, Mange and Lice. Designed to be diluted with water and sponged on. Warning: Lime-Sulfur Has A Very Strong Smell! Lime sulfur is a very effective treatment for ringworm, mites and several other skin conditions in dogs. It smells like rotten eggs, but this odor does fade given a little time. I think it's a small price to pay if it works. There are other natural, home remedies that can be used to treat ringworm in dogs. Some of them use ingredients you probably already have in your home, or that are easy to find/buy. Remember to trim the hair on, and up to an inch around, the ringworm lesion to allow for good absorption of any topical treatment. This is an iodine solution which has anti-fungal properties, it's also a disinfectant. Only use a Providone Iodine or Betadine solution, not an iodine tincture. You can use these to clean the area where the ringworm lesions are. Soak cotton balls or pads with the solution and wipe the lesion areas thoroughly, then apply a little of the solution and allow to dry on the skin. Neem Oil has natural antifungal properties and can be used as a natural ringworm treatment for dogs. A bath with a shampoo which contains Neem Oil a couple of times a week is a good way to clean the skin thoroughly and remove flaky skin, loose hair and fungal spores. This Neem Oil Shampoo also contains Shea Butter, and Argan Oil for moisturizing, Aloe Vera for itch relief and Bentonite Clay for the removal of toxins including bacteria and fungus. Daily application of Neem Oil itself (only use pure, organic, cold-pressed Neem Oil) has an anti-inflammatory effect and can help eradicate Ringworm. It's important to dilute the Neem Oil to a 1:10 solution (1 part Neem Oil to 10 parts carrier oil) with some type of carrier oil, such as almond oil. You can then apply this to the areas of skin on your dog affected by the ringworm. Tea tree oil is often suggested as a ringworm treatment for dogs, and it can be effective. However, it's very important to be careful when using Tea Tree Oil as it can be toxic to dogs, and is very dangerous to cats. If a dog licks the oil from their skin and ingests it the danger is even greater, so it's best only used if the areas of ringworm lesions are small and/or in a location where it is difficult for your dog to reach. Tea Tree Oil must be mixed with a carrier oil (such as Almond Oil) to a maximum of 1:100 ratio (ie MAXIMUM 1% Tea Tree Oil). Even lower figures are preferable. If your dog experiences any of these after you've applied Tea Tree Oil to him you need to get him emergency veterinary help. 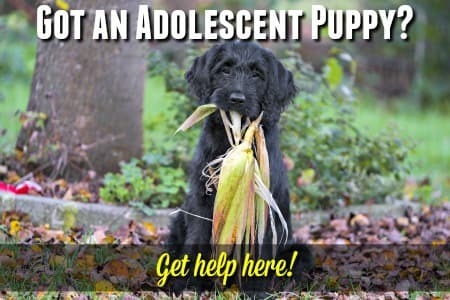 See my Dog Poisoning page for Poison Control Hotline numbers and more. Using a Tea Tree Oil shampoo formulated for dogs is a very safe alternative and can be very soothing. A 50:50 solution of Apple Cider Vinegar and water can be used to help reduce itching, inflammation and pain at the site of the ringworm lesions. This can be applied with cotton balls/pads, used as an after-bath rinse, or put into a small spray bottle and applied that way. Totally safe, simple and low cost.